I had finished up a shoot and was driving back towards home but decided to divert to Kenmore. The evening light was looking good and I thought some floatplanes might be returning to base. By the time I got to Kenmore, it must have too late as I didn’t see any planes. 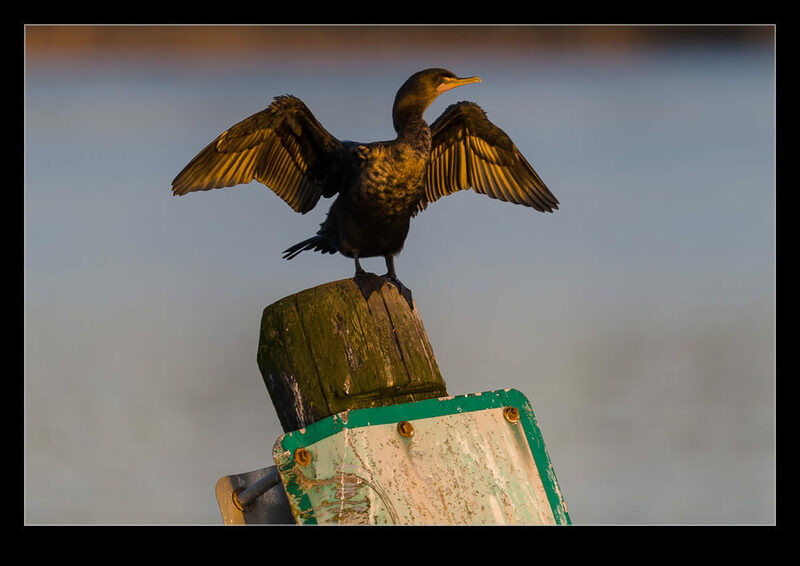 However, there was a cormorant sitting on one of the posts near the end of the jetty. As the sun set, he was stretching out his wings to gather maximum warmth. How could I resist yet another cormorant shot? 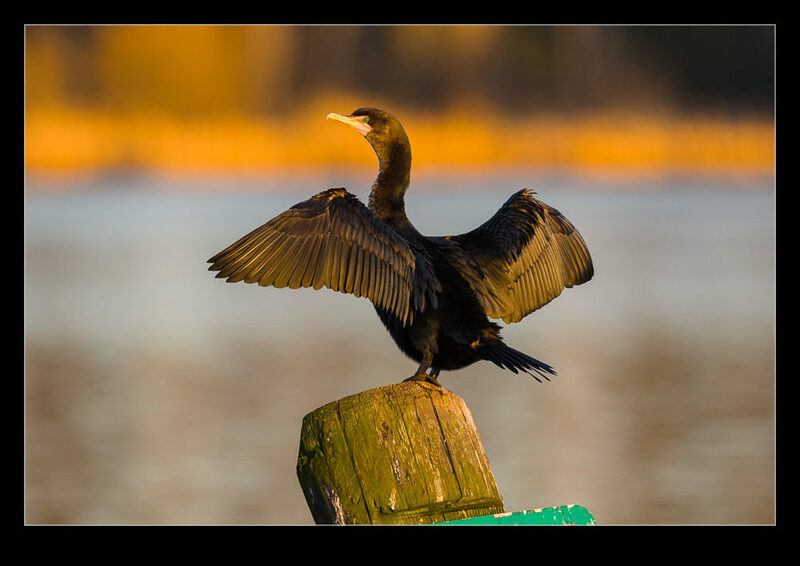 This entry was posted in Pacific Northwest, photo, wildlife and tagged bird, cormorant, Kenmore, photo, sunset, washington, wildlife. Bookmark the permalink. 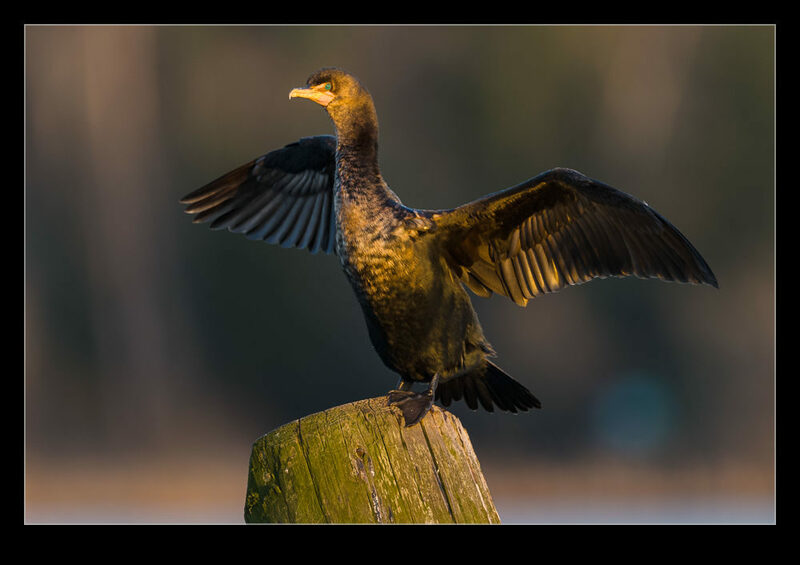 The common cormorant or shag lays eggs inside a paper bag !